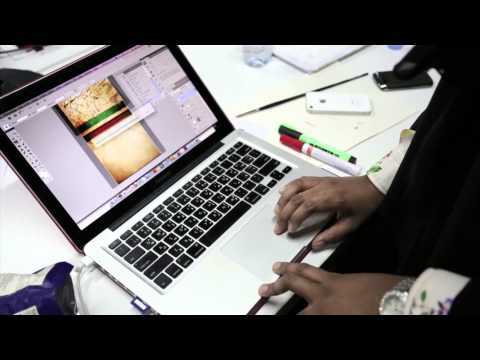 Dedicated by twofour54˚creative lab for National Day 2012, we present ‘Ya Khalifatna’. To celebrate the UAE's 41st National Day we collaborated to create a National Day song that combines elements from the much-loved UAE song, 'Zanaha Zayed' together with the song, 'Amrak Al Sami', both of which were written by renowned Emirati poet, Arif Al Khaja. Arif combined these lyrics to create a new song entitled 'YaKhalifatna' and acclaimed singer Fayez Al Saeed composed the music. A union between young Emirati creative talent led by first-time music director Abdul Aziz Ahmed and the acclaimed poet Arif Khaja, 'Ya Khalifatna' is the new song that celebrates the unity of the UAE. Working with renowned music producer Fayez Al Saeed, this Emirati-led project was brought to life by twofour54˚ creative lab to celebrate the UAE's 41st National Day. A competition was launched on the creative lab website that gave community members the chance to create and direct the music video for 'Ya Khalifatna' and Abdul Aziz won the competition.